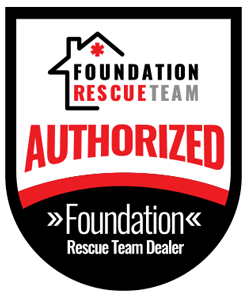 As with any other foundation, the foundation or slab that your garage sits on is prone to cracking, sinking, and settling. This can cause the columns in your garage to crack. Most often, garage columns have structural significance; usually serving as support between the multiple doors in a garage, these columns should be as stable as possible. But when the concrete slab beneath these columns sinks, the columns can get cracks that threaten the stability of the garage. These cracks should be repaired as quickly as possible, but the bigger problem also needs to be addressed. 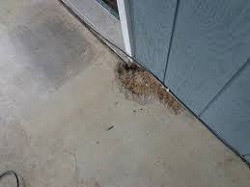 Garage column cracks are sometimes accompanied by slab cracks, leaning or bowing garage walls, sloping floors or sticking doors and windows These are signs that you may have a problem with your garage's slab or foundation. 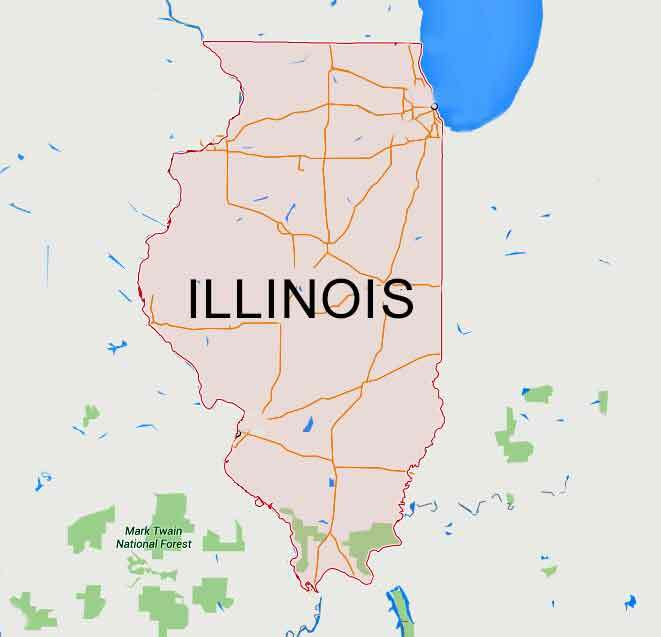 For all your cracked garage column problems, USS has solutions in Chicago, Illinois! United Structural Systems repairs garage column cracks just like any other cracks, with an epoxy injection. Our team of experts use continuous mixing epoxy injection machines to ensure that the epoxy penetrates through the thickness of the foundation wall. Epoxy injections, a grout mixture, is designed to fill the holes and increase stability. As it dries, it strengthens the original wall and seals out water. This eliminates moisture, humidity, and prevents water damage. We do not use band-aides to fix your garage settlement, we offer complete permanent solutions. 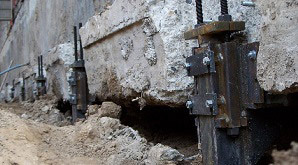 Steel piers are another option for repairing sinking or settling foundations. They are designed to support, strengthen and stabilize the foundation of your garage to prevent your garage from settling further into unstable soil.